Tornado Insulation Ltd. - Illusive Design Inc. 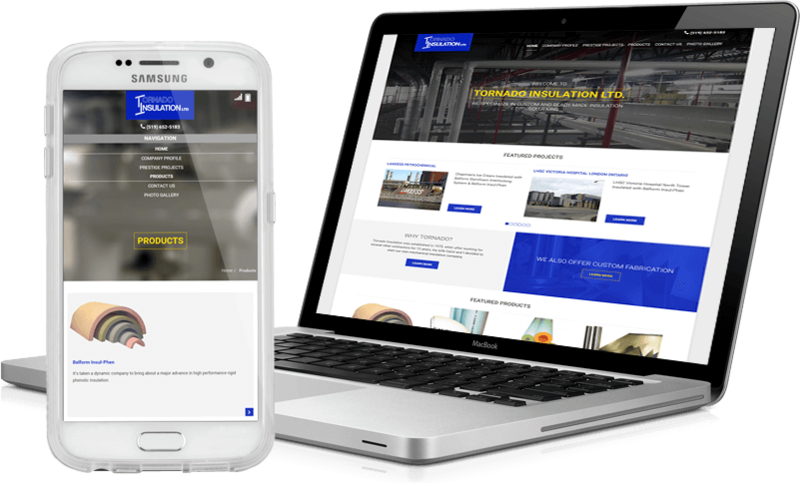 Mobile Responsive Website for Insulation Industry – Tornado Insulation Ltd. 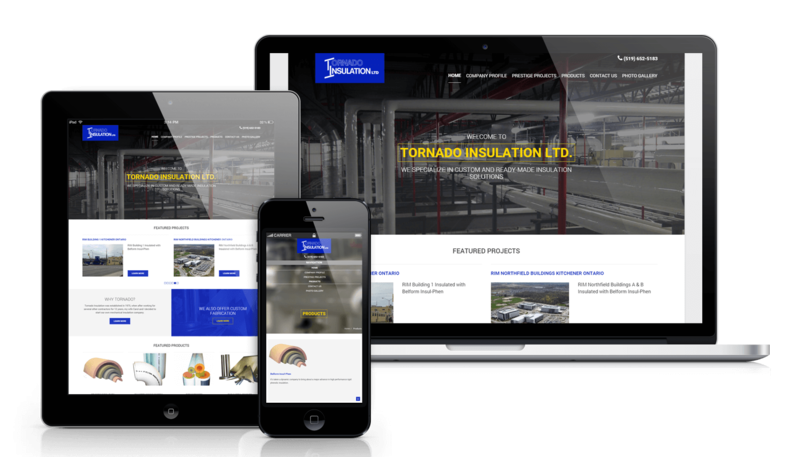 The WordPress custom website design for Tornado Insulation Ltd. prominently displays the insulation company’s services over a collection of pages optimized for visitor engagement and visitor-to-customer conversion. Utilizing the tag line “WE SPECIALIZE IN CUSTOM AND READY-MADE INSULATION SOLUTIONS”, Tornado Insulation Ltd’s mandate to Illusive Design was simple – to design a website that could act as online representation for a business that required an improvement in their online engagement. Through an effective WordPress corporate design, we were able to accomplish this with the following details outlined. The mobile responsive corporate WordPress design works on any device through any platform – giving Tornado Insulation Ltd. a further reach than ever before. The company can now be found through mobile devices, tablets, or laptops at a moment’s notice. Illusive Design was able to effectively begin a conversation and a dialogue with a whole new customer base online through the successful incorporation of corporate marketing strategies within the actual design of the site. 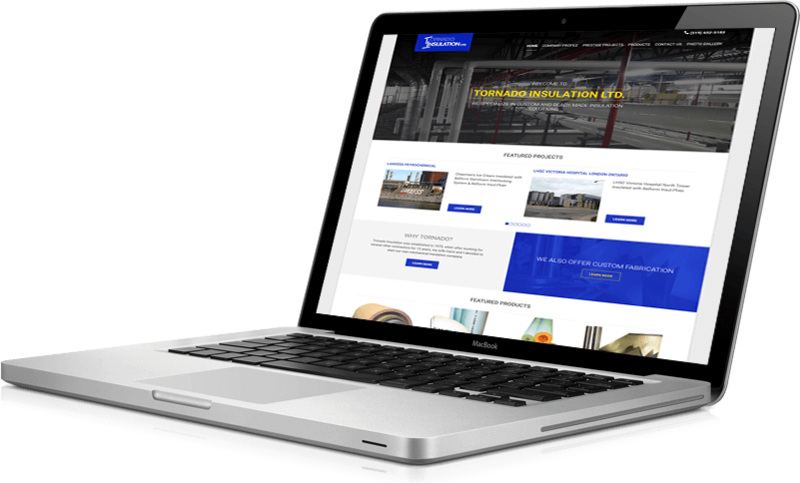 Zeroing in on content-based pages that provide detailed yet succinct information on what is offered from Tornado Insulation Ltd. wasn’t the only aspect of site design that Illusive Design had in its view. We incorporated a number of unique features that were designed to optimize customer engagement and tailored specifically to the insulation industry such as a Project Gallery, Product Listing, Featured Project Listing, and a home page built with links to lead the customer through to other pages of your site. With the sheer size of the internet and the amount of websites out there, the audience needs to be able to find you. This is where search engine optimization comes in. Illusive Design worked with Tornado Insulation Ltd. to create a search engine optimized site complete Google Map integrated contact page, and SEO-friendly content all designed to pull new visitors in. Through an effective online web presence, Tornado Insulation Ltd. successfully achieved three distinct goals. The WordPress custom website design has expanded the company’s reach and boosted their visitor-to-customer conversation rate thereby enhancing customer acquisition. The site helped facilitate a deeper relationship and advocacy through an improved representation of their brand, customer service, and quality. The Illusive Design-built site effectively granted Tornado Insulation Ltd. access to a larger online market to pull new clientele from on a regular basis.